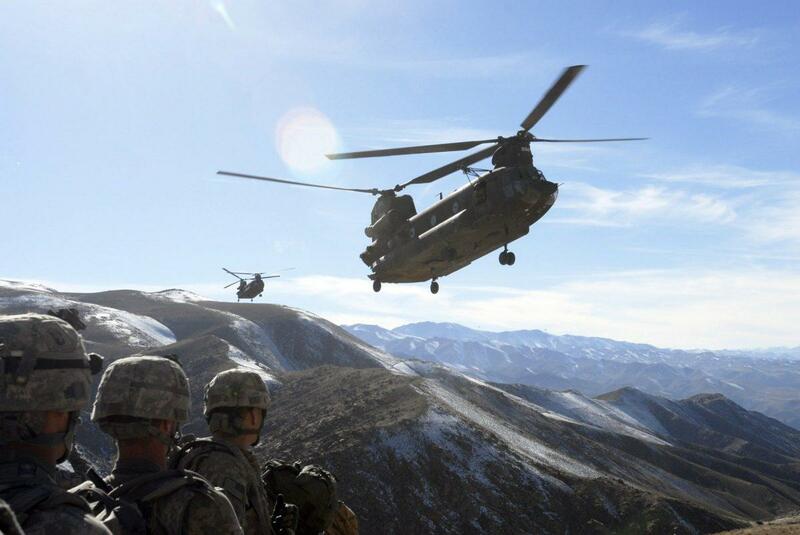 U.S. soldiers in Afghanistan await transport on a Chinook helicopter. Chinook is the biggest, fastest rotorcraft in the Army’s fleet. The Army had a carefully vetted plan to introduce the needed upgrades for both its own helicopters and those of the U.S. special operations force, but last spring planners began moving money out of Chinook to address other priorities. Chinook remains critical to warfighting plans—it is expected to stay in the force until 2060—but the planners decided they could put off the improvements. And therein lies a story of how Pentagon budget decisions often get made without much thought about the industrial, political or human consequences. I won’t claim to understand the operational rationale underpinning the planned delay, but I have a pretty firm grasp of what a five-year gap in planned production would mean for workers, for foreign military sales, and for other Pentagon programs. It isn’t so clear that Army planners understand these impacts, or even care. But the political system will. To start with the industrial impact, Chinook is assembled at a sprawling Boeing plant in Ridley Township, Pennsylvania on the Delaware River south of Philadelphia. Boeing is a contributor to my think tank, so I have visited the plant several times. It is an immaculate facility employing 4,200 in an area that has seen most of its heavy industry move away, frequently offshore, in recent decades. Nearly half of the employees at the plant work on Chinook, while most of the remainder work on V-22 tilt-rotors used by the Marines, Air Force and Navy. Production of the V-22 has gradually declined over time as user needs were met, so people at the plant were counting on Chinook to keep the facility humming. If the Army had stuck with its original plan, Block II versions of the helicopter would have commenced low-rate production in 2022 just as assembly of the Block I version was trailing off. But if that transition is delayed by five years, many workers at the plant will have nothing to do. Given union seniority rules, a lot of young workers might find themselves on the street. Chinook production wouldn’t cease entirely, because special operators must have upgrades to their decrepit Chinooks—the oldest rotorcraft in the joint fleet. But with Army production representing 87% of the planned domestic buy of Chinooks in the next decade, the assembly line would slow to a crawl and the cost of each aircraft would go through the ceiling. The price of V-22s for the other services would rise also, because overhead costs spread across the two programs today would need to be absorbed mainly by the tilt-rotor. The cost impact might preclude another multiyear buy of Osprey, affecting workers at the V-22 final assembly plant in Texas as well as Pennsylvania. And that is just the beginning. Chinook is operated by 20 allied countries such as Canada and Australia, and Boeing had good reason to believe that more foreign military sales were likely in the future. Chinook is nearly unique in its combination of speed, carrying capacity and technical maturity. But without Block II taking up the slack left by waning Block I production, foreign customers might have sticker shock at the price of new Chinooks. In other words, what the Army is planning to do will wreak havoc with pricing for two different rotorcraft programs—one of which is vital to other U.S. military services, the other of which is operated by a growing number of allies. Army planners probably didn’t give this industrial fallout much thought when they decided to delay Chinook upgrades. This is the same bureaucracy that proposed closing the nation’s only surviving tank plant for several years as an efficiency move. Unfortunately, you can’t mothball workers the way you can production equipment. Skilled personnel at the Pennsylvania plant would look elsewhere for jobs, and probably never be recaptured when work resumes in the future. The same applies to workers at Chinook supplier sites in Arizona (engines), Florida (cabins), Illinois (transmissions) and Iowa (electronics). And here’s another consideration that planners almost certainly ignored. Pennsylvania is essential to President Trump’s re-election prospects. Announcing the destruction of hundreds, maybe thousands, of jobs there is not the way the White House wants to begin primary season. With the makeup of the local congressional delegation trending heavily Democratic thanks to judicial intervention in the drawing of district lines, slowing Chinook production to a near standstill will hand the president’s opponents a much-needed industrial issue. Democratic Party ties to blue collar workers have grown frayed in recent years, and some of the lawmakers representing southeast Pennsylvania, Delaware and New Jersey (right across the river) would undoubtedly like a way of demonstrating that they too care about manufacturing jobs. The Army’s Chinook plan is a gift to Democrats in a swing state that the president must carry to hold onto the White House. Did I mention that some major Chinook subcontractors are also located in the Keystone State? So delaying upgrades to the Chinook helicopter will have all sorts of consequences outside the Army that planners probably should have thought through. Why the service would want to defer production of the only helicopter it operates that can transport next-generation jeeps and howitzers is beyond me. It will be an interesting bit of political theater to see how this part of the Army’s budget request plays out in the White House and on Capitol Hill in the coming months. This article was written by Loren Thompson from Forbes and was legally licensed through the NewsCred publisher network. Please direct all licensing questions to legal@newscred.com.